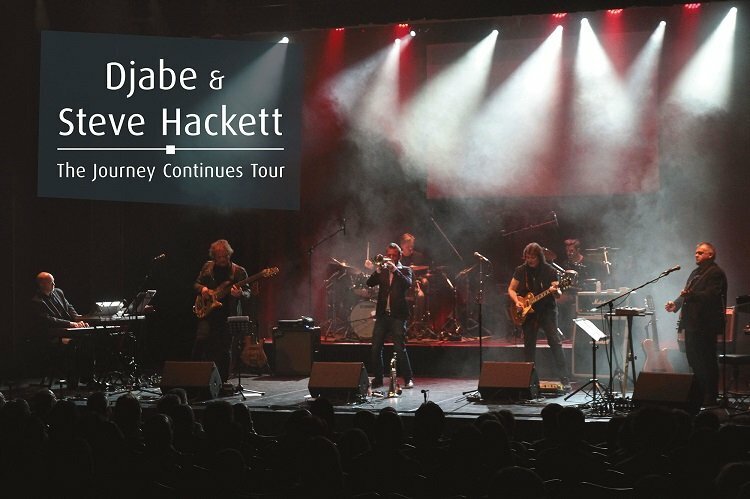 / Djabe & Steve Hackett: First 2019 show announced! Djabe & Steve Hackett: First 2019 show announced! Steve Hackett will once again join forces with Hungarian band Djabe this summer for a couple of shows. He did already reveal these plans in our interview with him earlier this year (click here to read the interview). Djabe & Steve have recorded an album, Life Is A Journey: The Sardinia Tapes and have also released a live album presenting stuff from that record. They will now return on stage for a couple of shows: The Journey Continues Tour! The first show announced for 2019 will take place in Budapest, Hungary, on 30th July 2019 at Budapest Jazz Club. Tickets are on sale at this Link. More Steve Hackett tour dates for 2019 can be found on our tour dates page.